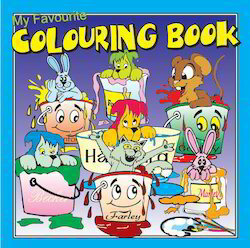 Our product range includes a wide range of my favourite coloring book yellow, my favorite coloring book red, my favorite coloring book blue and my favourite coloring book green. My Favorite Coloring Book Yellow offered comes in 36 page softbound finish and is designed to encourage creativity amongst children. As a best learning option to teach young students, the books simple introduction to colors makes it fun to learn option for preschoolers. The book comes with pages on a variety of themes that children can color and acts as a wonderful tool for developing fine motor skills of children. These are suitable for kids of kindergarten, preschool and grade school children. My Favorite Coloring Book Red offered comes in 36 page soft bound finish and is best option to be used as a fun time activity while making children learn use of different colors. Featuring child friendly illustrations, the book pages co e perfectly designed for youngsters who are just getting started in their initial learning stage. The interactive session of book also helps in increasing eye hand coordination among children with interesting worksheets that makes painting a fun activity to engage oneself in. My Favorite Coloring Book Blue offered comes in 36 page softbound finish and is of high printable quality that makes it exciting option for children to learn basics of coloring. As an interactive book, its interesting layout is best tool for engaging child's interest on a variety of themes they are coloring. As a great way to have fun while children get benefitted from practical lessons, the book is suitable for use at home or in the classrooms as a teaching aid. We have gained recognition as an eminent enterprise, devotedly engaged in offering My Favorite Coloring Book Green. Our offered My Favorite Coloring Books are designed with high quality paper & printed with high quality of inks. The provided My Favorite Coloring Books are demanded in the market due to its eye catchy prints and excellent binding. Also, these My Favorite Coloring Books are completely checked by well-informed experts to ensure correct contents. 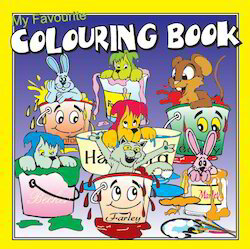 Looking for My Favourite Colouring Series ?